The Eleaf Invoke 220W TC Starter Kit is powered with two 18650's and take this to its maximum output of a whopping 220W with this advanced chip set partnered with the Ello T24mm Sub Ohm Tank. Complete with temperature control, the atomizer can accommodate up to 27mm. With two ways to charge this mod via the external batteries, and the availability to charge using the 2A USB port, this mod gives you the freedom and power that you need to go about your day with the expandable 4ml glass tube that comes in this kit. The beautiful designs of this Eleaf Invoke can not be understated, it is an absolutely stunning piece of hardware to comfortably hold in your hand, rip thick milky clouds, and show off to your friends. 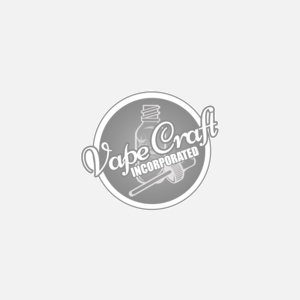 Get yours from Vape Craft today.